Woo Hoo!! On Top Down Under is 1 year old. 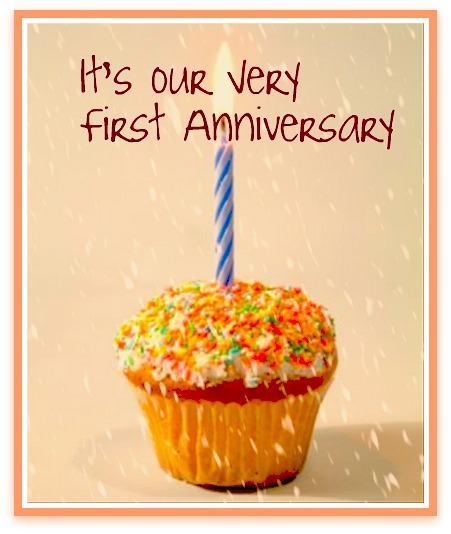 On October 6, 2013, On Top Down Under Book Reviews will celebrate our one year anniversary. When Kazza K and Cindi connected over the shared love of a book in August of 2012, neither could have imagined that they would soon be collaborating on two reviewing sites as well as becoming as close as family. The past year has been very good to us and we want to celebrate our anniversary with you. In the coming days, and throughout the month of October, there will be interviews by some of your favorite LGBT authors, on top of a book giveaway here and there. We will be visited by Mercy Celeste, John Inman, Anne Brooke, Kayla Jameth, Rick R. Reed, Kimberly Hunter, Deborah L. Warner, Kyle Adams, and Sloan Parker. Others may be added as well. Author Eric Arvin will answer his interview questions with one of his fun videos. Christopher Allen (of Conversations with S. Teri O’Type fame) will even be interviewing the two of us. How cool is that? On Top Down Under never would have lasted a year without our great members and the authors who have given us so many books to enjoy. To all of you we say thank you. Check our social networking sites for more details as the month goes on. You can find us on Facebook and on Twitter. Pop in and say hi and show your love for these authors who have so graciously given up their time to help On Top Down Under Book Reviews celebrate our first year! Congratulations on your first year. Sounds like it will be an exciting month. Thanks, Kyle. It’s going to be a fun month.